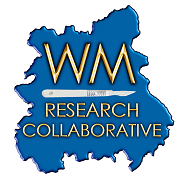 The WMRC is a surgical trainee-led research network within the West Midlands. It was set up by a group of surgical registrars in 2007 with the help and support of Professor Dion Morton. Our aim is to deliver high-quality, mutli-centre clinical research that will change clinical practice. A society for interested vascular specialists from both the East and West Midlands regions. Membership is free and open to surgeons, radiologists, nurses, technologists and other health care professionals with an interest in vascular surgery. The Society supports and coordinates the combined teaching programme for the East and West Midlands Vascular Surgery trainees and hosts details regarding the activity of the research colaberative. The West Midlands is the largest region geographically in England and has large and well evaluated training programmes in all surgical specialties. Many of the surgical specialties have the ability to undertake sub-specialty training. The school of postgraduate surgery covers ten surgical disciplines. 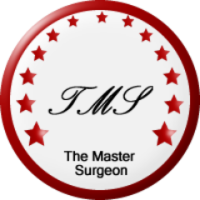 The website is run by The Master Surgeon Trust, a charity founded for the purposes of improving surgical training and education. This web site provides many resources for medical students, junior doctors and surgical trainees to help pass their medical school exams, membership (MRCS) exam and understand the fascinating field of surgery.